The Nærøyfjord in Sogn is one of the worlds most beautiful and dramatic fjords. 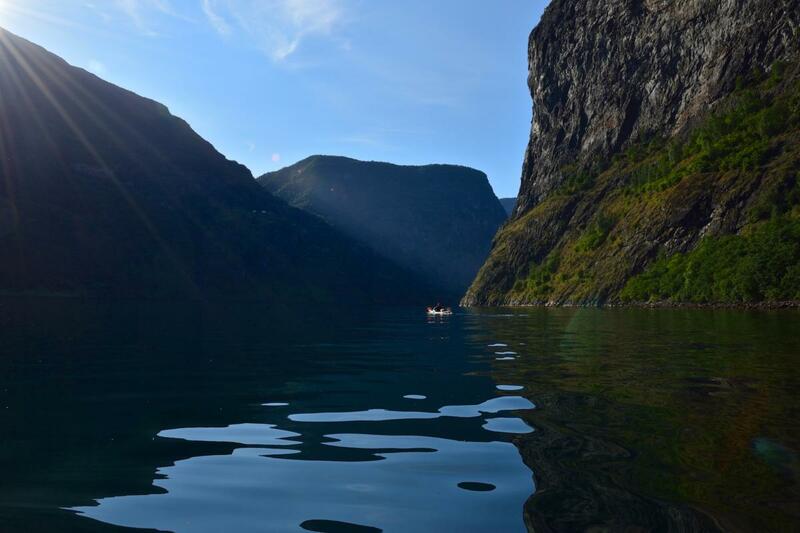 The name Nærøyfjord origin from the norse god ‘Njord’, the God of the Seafarer and the sea. 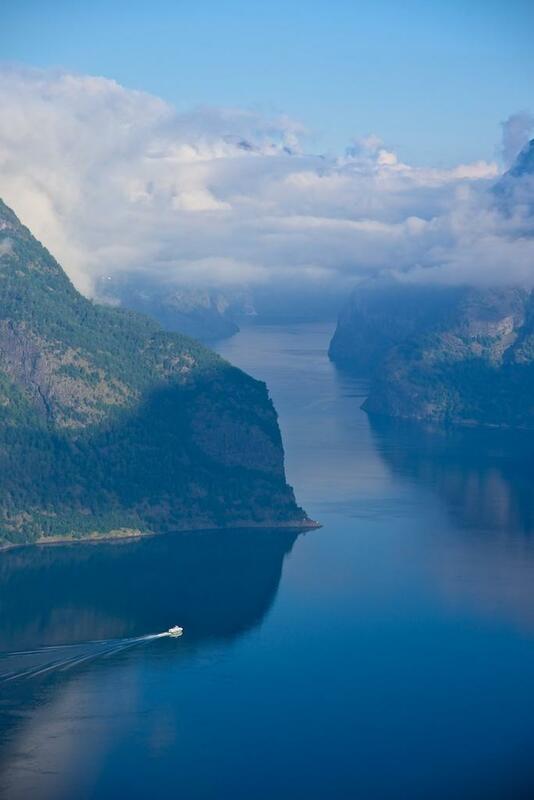 It is one of many fjordarms in the 204 km long Sognefjord. 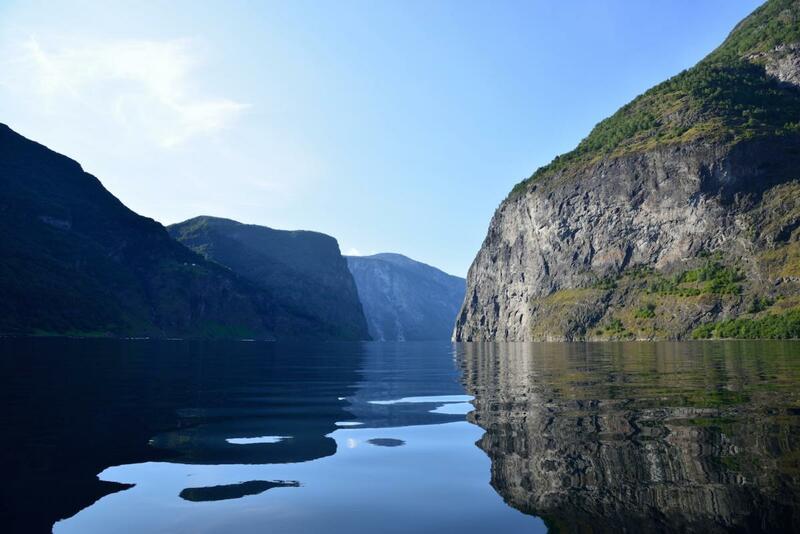 In 2005, the Nærøyfjord became a part of UNESCO’s World Heritage together with the Geirangerfjord. 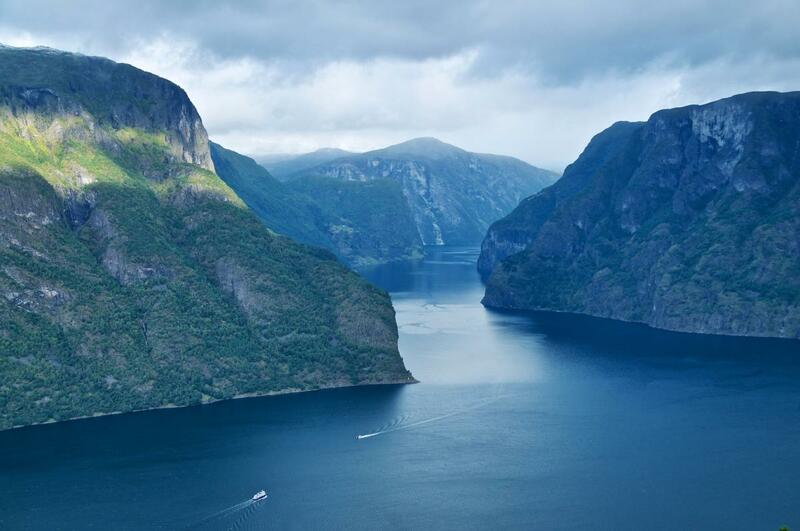 The Nærøyfjord is a 18 kilometre long branch of the worlds second longest fjord, the Sognefjord (204 kilometre long). 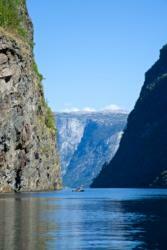 It is only 250 meters at the narrowest, and more than one kilometer at the widest. 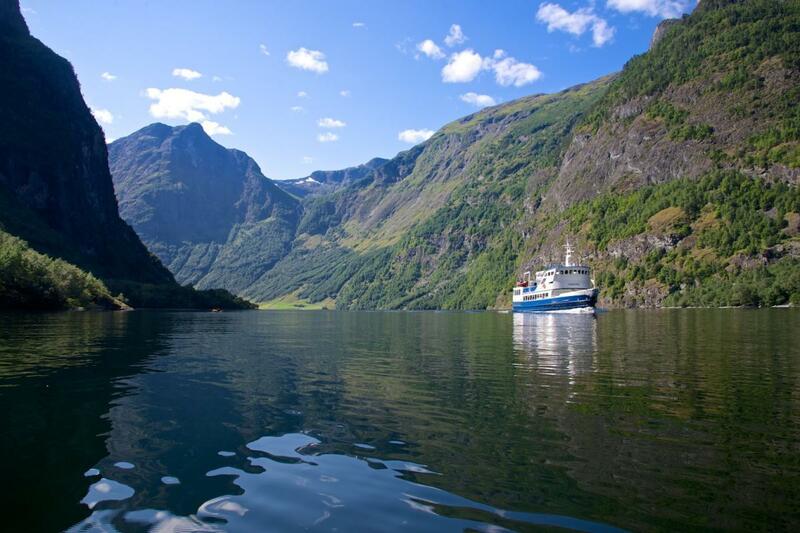 The depth varies between 10 and 500 meters. The surrounding mountains are up to more than 1400 meters high. 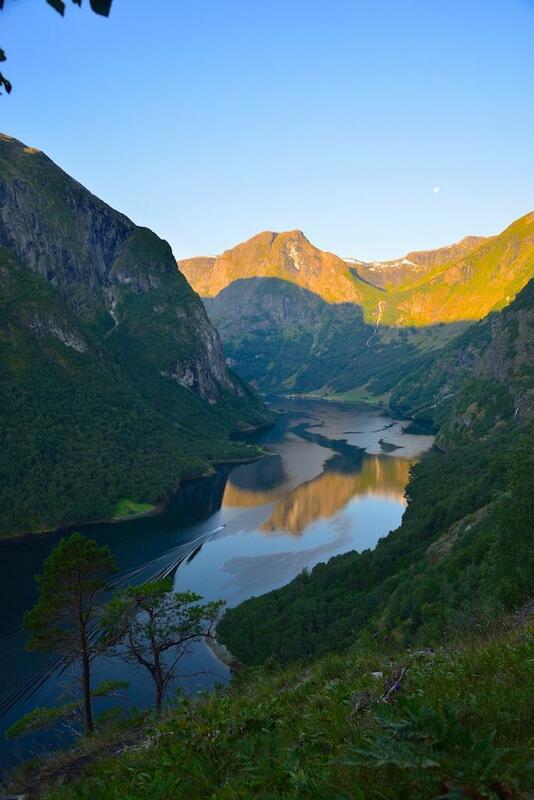 The Nærøyfjord is a fjord in the municipality of Aurland in Sogn og Fjordane. 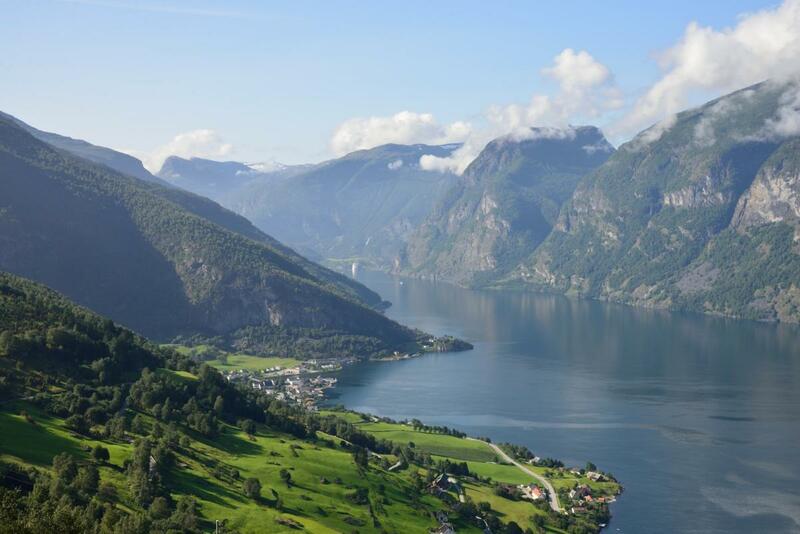 It starts at Gudvangen and ends at the mountain Beitelen, which divides the two fjords Aurlandsfjord and Nærøyfjord. 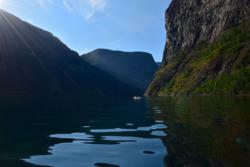 By the Nærøyfjord, we have the small villages Gudvangen, Bakka, Styvi and Dyrdal. 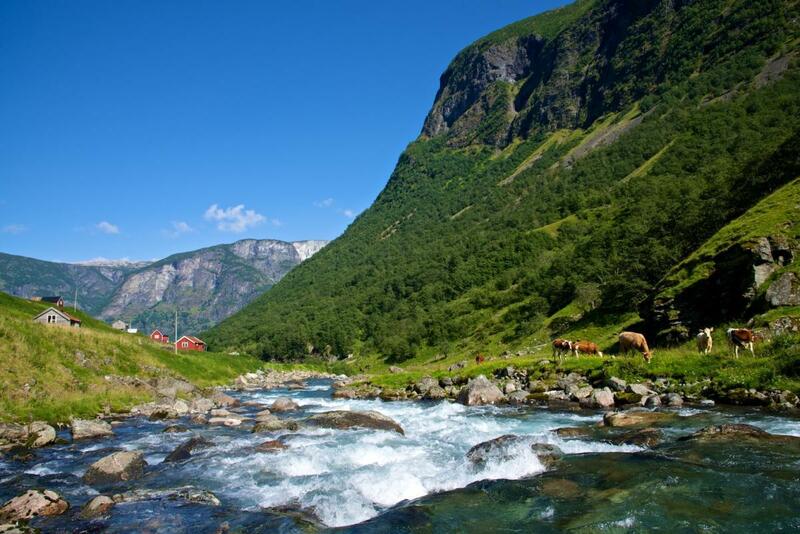 Dyrdal and Styvi are the only places without permanent inhabitants during the winter, and is without road connection. 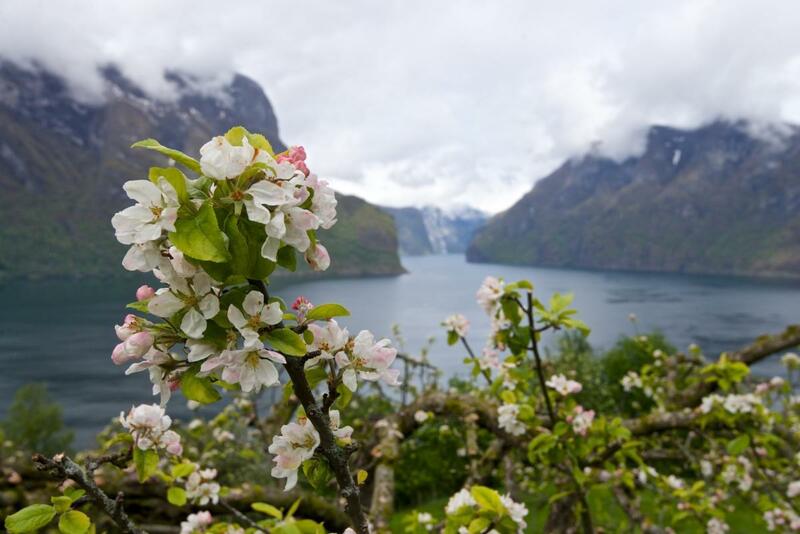 The tourist “high” season lasts from the beginning of May to the end of September. 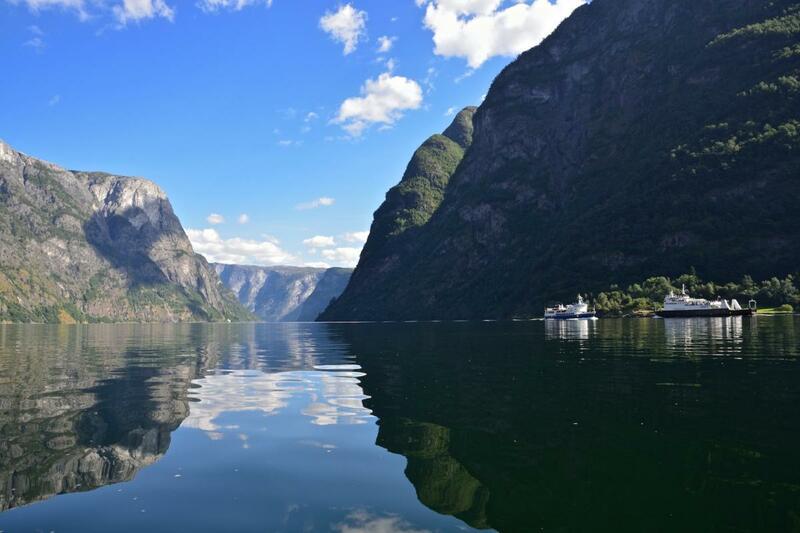 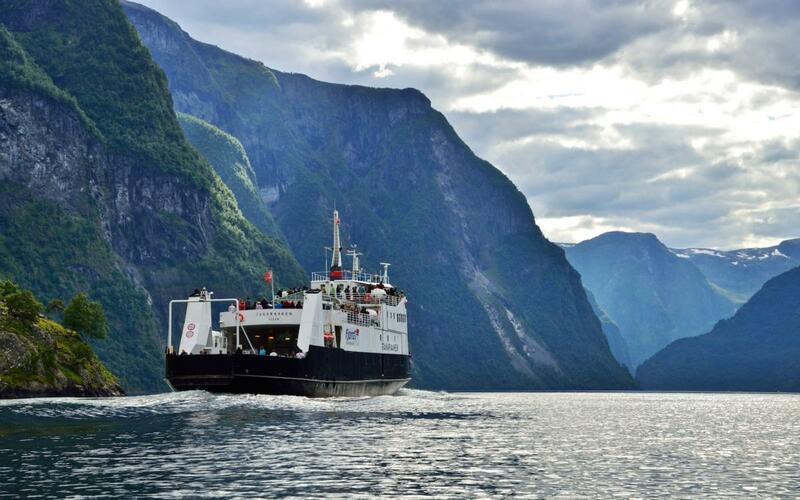 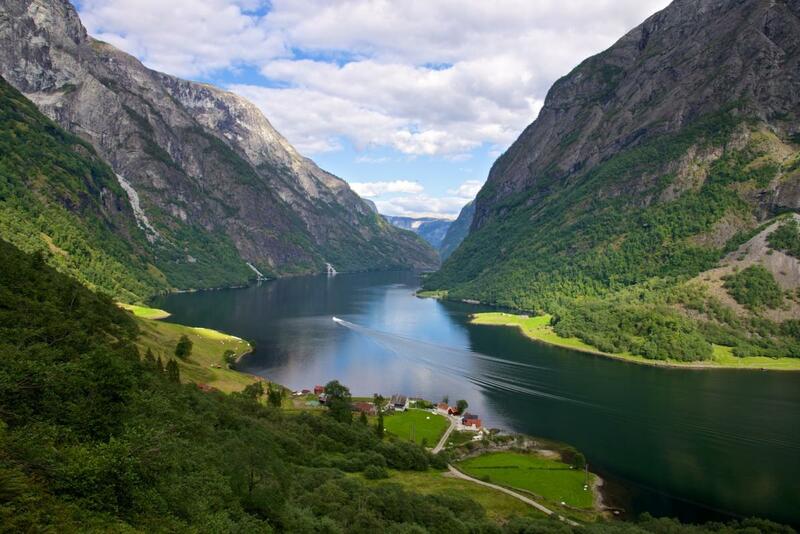 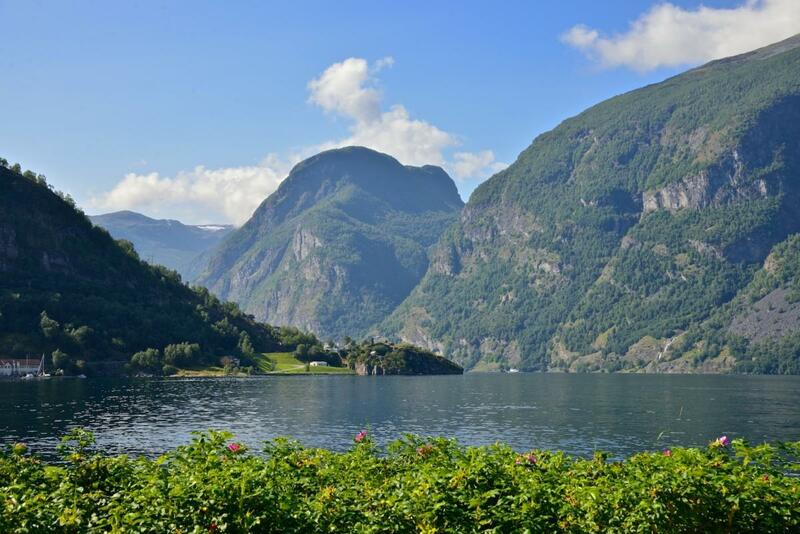 In the period between May 1st and September 30th (2019), you can take the ferry from Gudvangen, out the Nærøyfjord and Aurlandsfjord to Kaupanger in Sognefjord, a 2 hour “ferrytail” in the Sognefjord – the King of the Fjords. 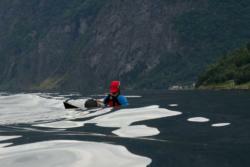 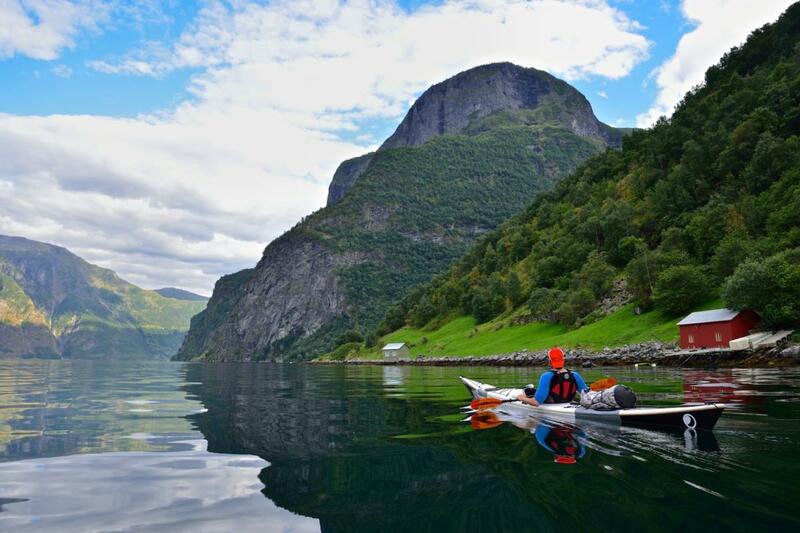 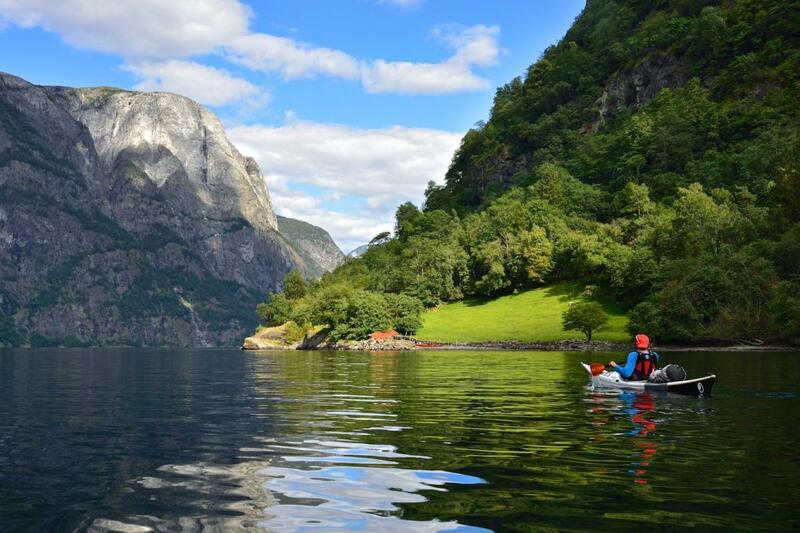 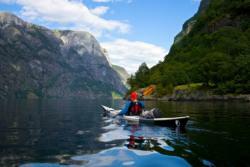 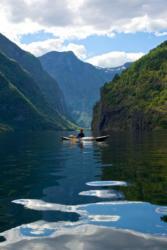 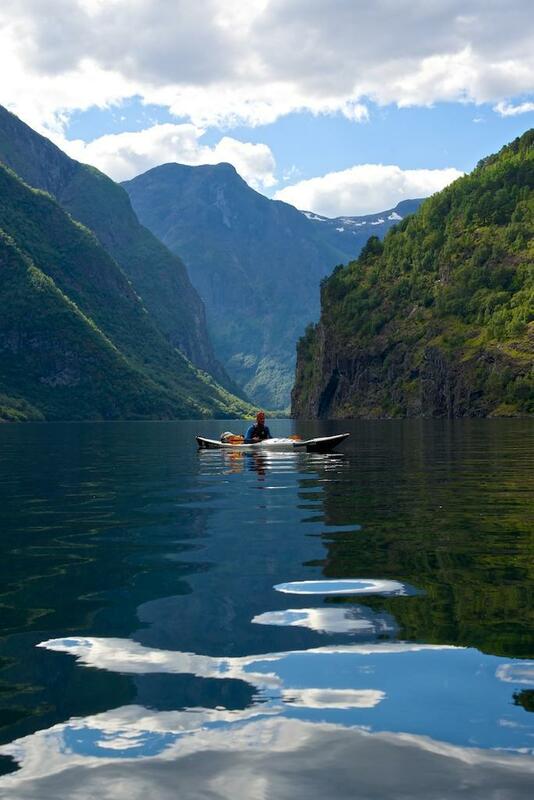 You can also visit the fjord by other boats or by kayaks, or you can do a fjordsafari in a RIB-boat. You can visit the Nærøyfjord and Aurlandsfjord all year round. 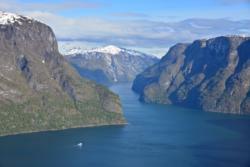 But during the winter, the Nærøyfjord may be periodically covered by ice. 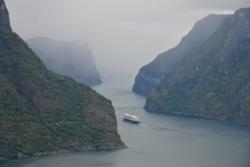 More and more tourists are visiting the Nærøyfjord, Aurlandsfjord and Sognefjord during the winter. 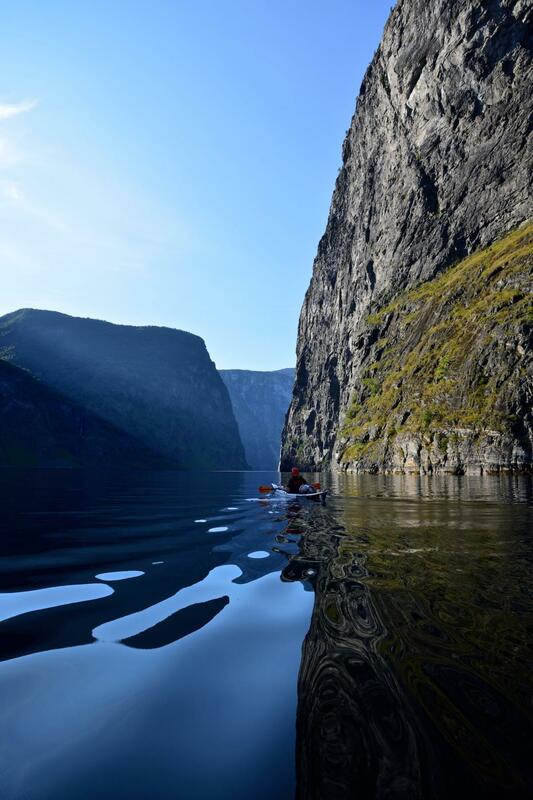 The Nærøyfjord is an adventure. The fjord is steep and deep, shallow and wide, wild and gentle. You can experience it from boat, in kayak or by hiking in the surrounding mountains and valleys. 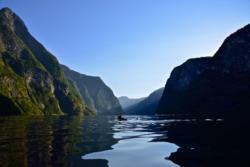 Breath in the fresh air and drink the pure water straight from one of many waterfalls and rivers ending into the fjord. 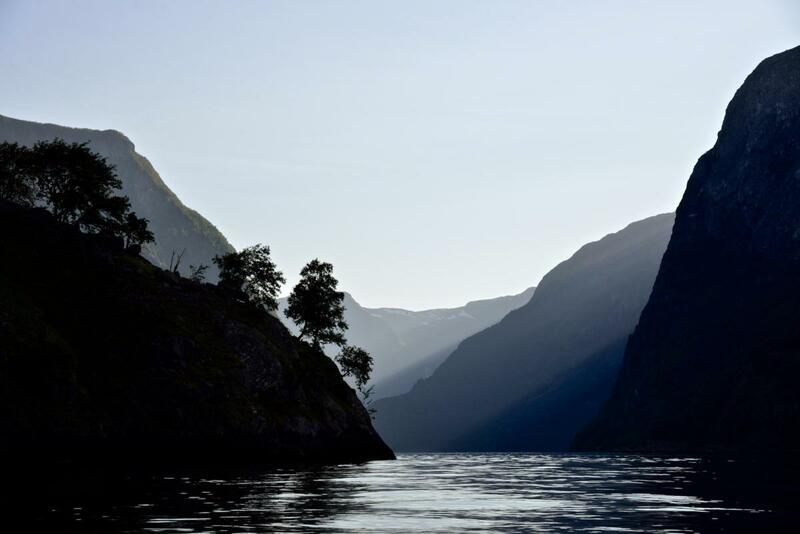 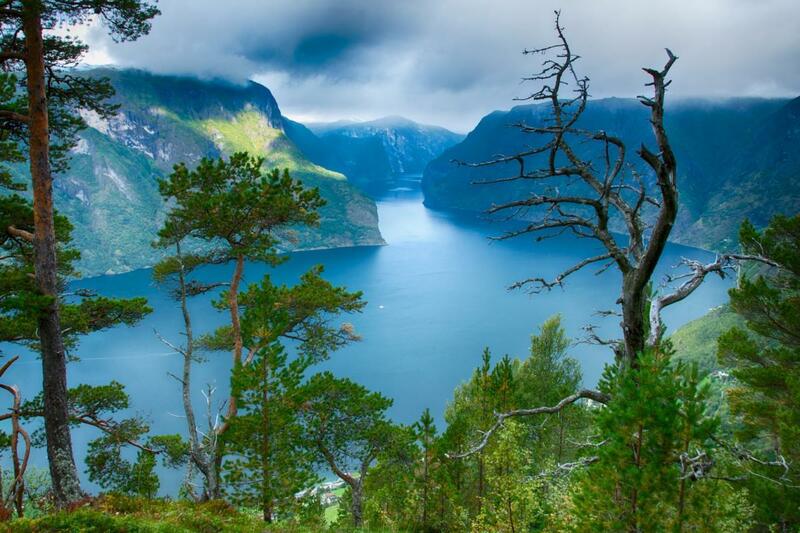 Listen to the silence, to the nature, to the sounds from the waterfalls and the fjord. 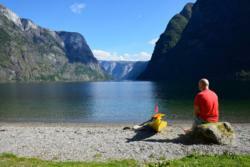 Cycling Rallarvegen (the Navvies Road) from Finse to Flåm: This is a must. 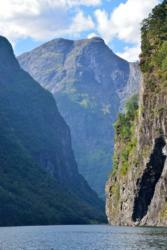 You take the first train in the morning from Flåm to Finse. (Order tickets a few days before, this to ensure they have bikes for rental at Finse. 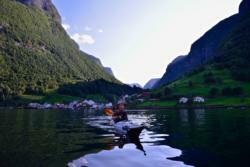 You need to ask for a ticket including both train and bike). 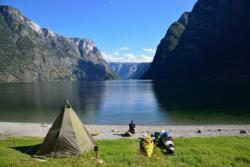 Get your bikes at Hotel Finse 1222. 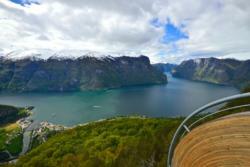 This is the highest point of the Bergen Railway, 1222 metres above sea level. You now start the ride along Rallarvegen. This road was constructed while building the Bergen Railway in early 1900. You cycle mostly dowhill beside lakes, rivers and waterfalls down to the Flåm Valley which takes 6-8 hours or more. You can also bring a tent and stay the night camping somewhere along the road (wild camping is allowed in Norway). 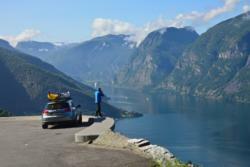 When arriving in Flåm, you can leave the bike at Flåm Railway Station before you enjoy an ice cold beer from Ægir Brewery at the harbour. 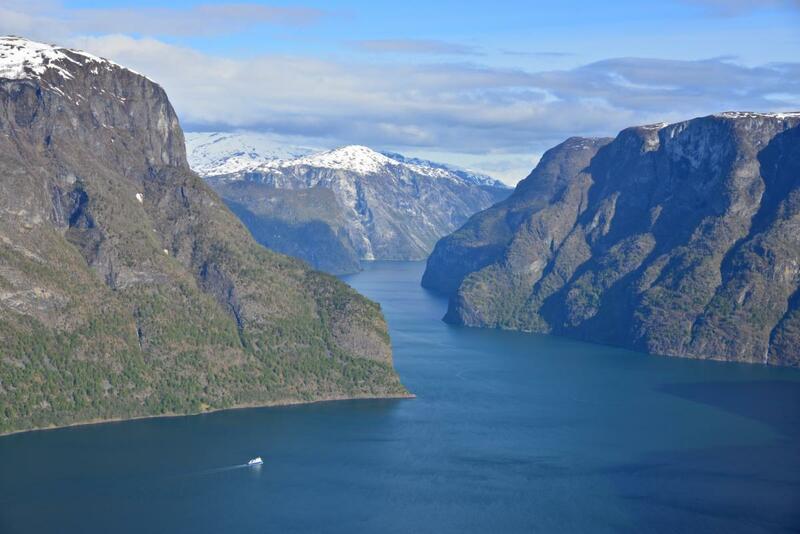 The Aurlandsfjord and Nærøyfjord: You can go by rib boat, catamaran or ferry from Flåm out the Aurlandsfjord into the Nærøyfjord to Gudvangen. 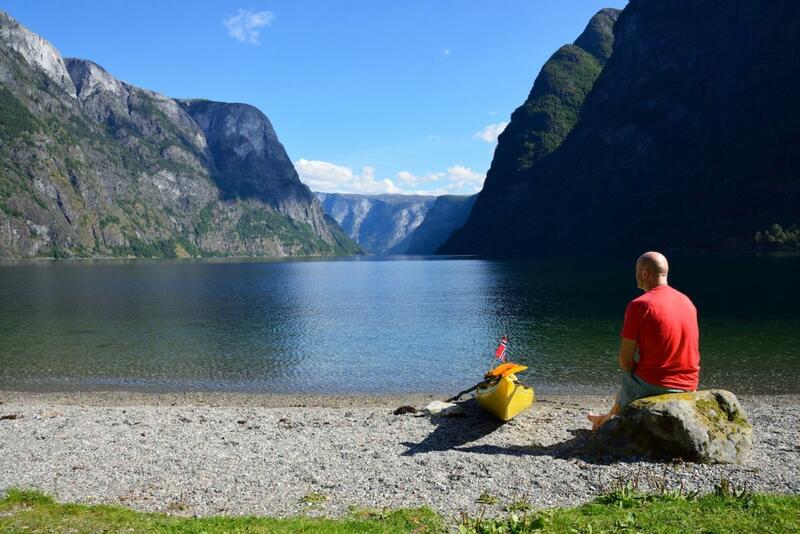 In addition, this area is a fantastic place for fjordsafari, kayaking in the fjords and hiking along the fjords and on the surrounding mountains. If you want to have a day or two hiking in the Aurland/Flåm area, you should hike the Aurlandsdalen Valley. 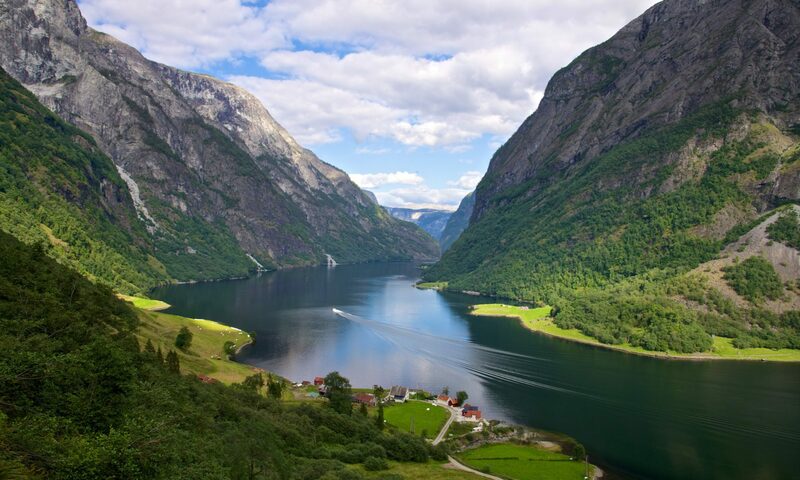 Wild scenery, wild rivers, narrow valleys, much history from old Norway and how they lived at that time. Many people consider this as the most beautiful and wildest valley in Norway. 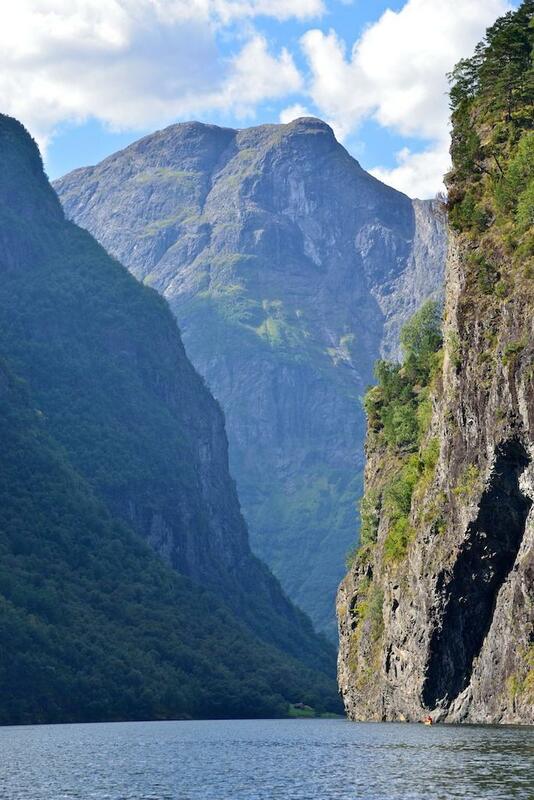 From Flåm, you can drive through the tunnel towards Gudvangen. 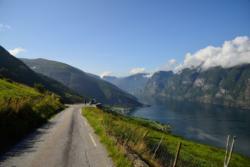 When you are through the first of two tunnels, you turn right and drive to Undredal down by the Aurlandsfjord. 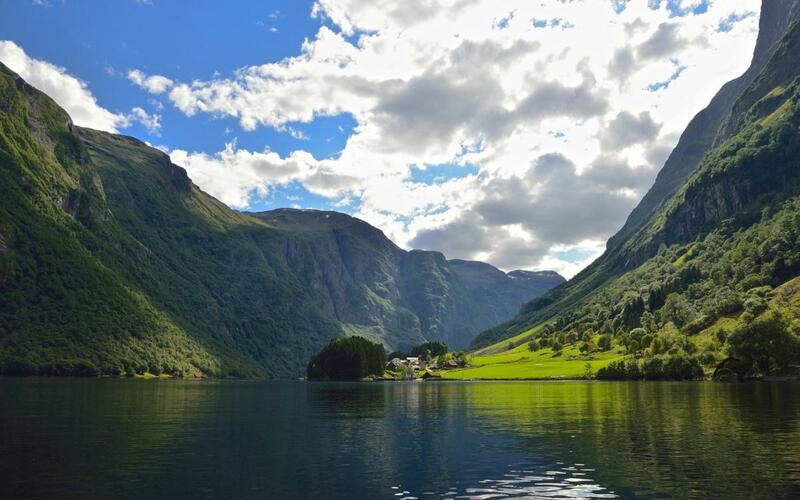 Here you will find Undredal Stave Church, Norway´s smallest church. 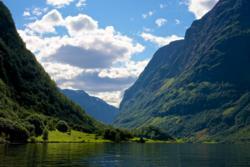 It is actually a stave church and had its 850 years celebration in 1997. 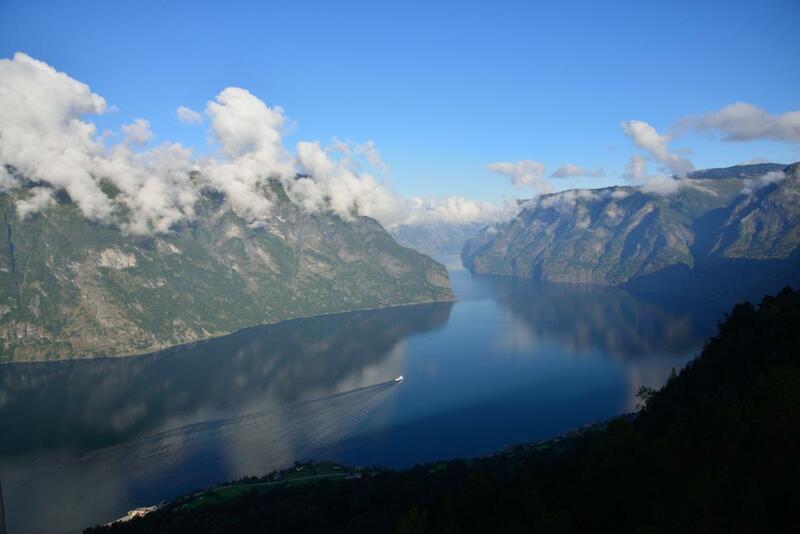 At Undredal you can rent a boat and hike to the mountain farm “Stigen Gard”further out in the fjord (Warning: this is a steep hike). 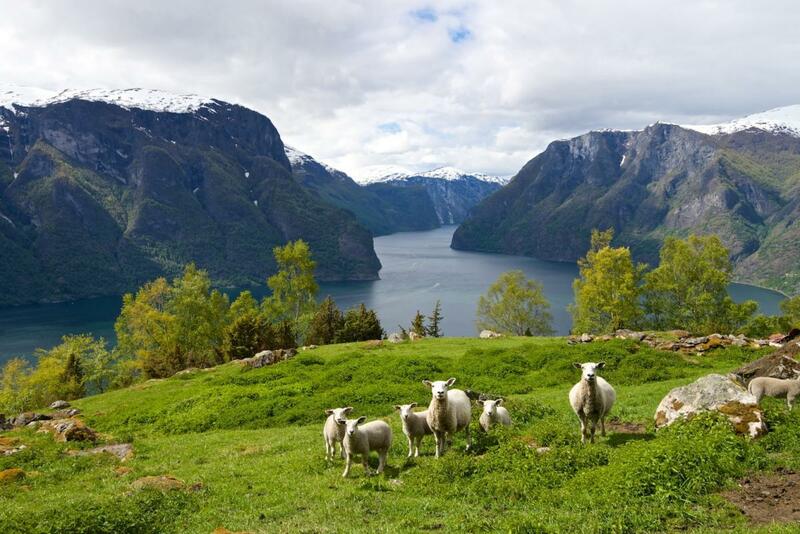 This farm has a great view down to the Aurlandsfjord and is located several hundred metres up the mountainside. 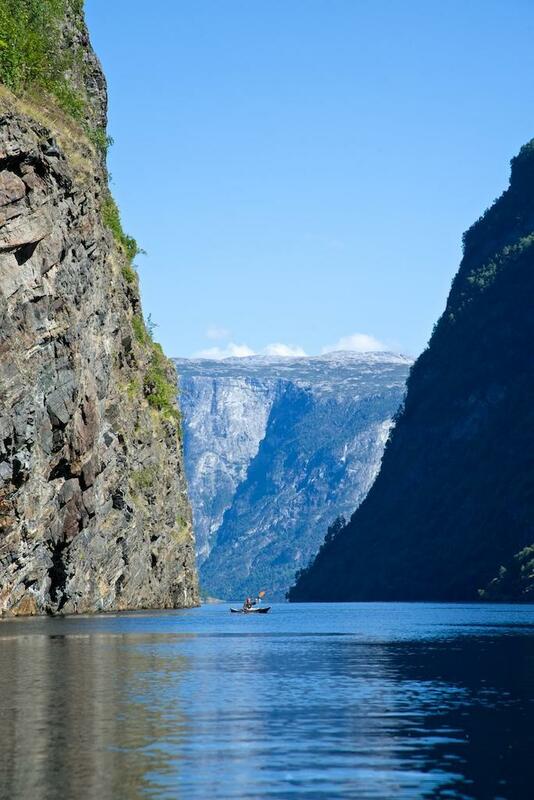 In the old days they needed a ladder to to enable them to get up there! 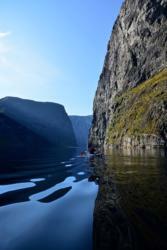 (Stigen = ladder). 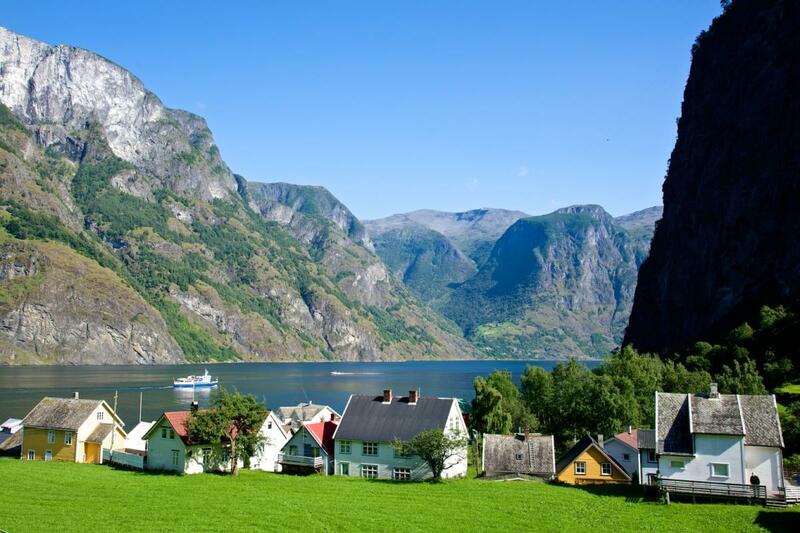 When the authorities came to claim tax from the locals, the farmers pulled the ladder up so the tax collectors had to return with empty pockets. 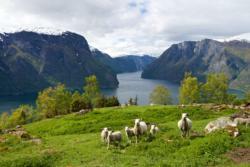 If you contact Stigen Farm in advance, you can stay overnight etc. (Open approximately 1 May – 31 Oct). 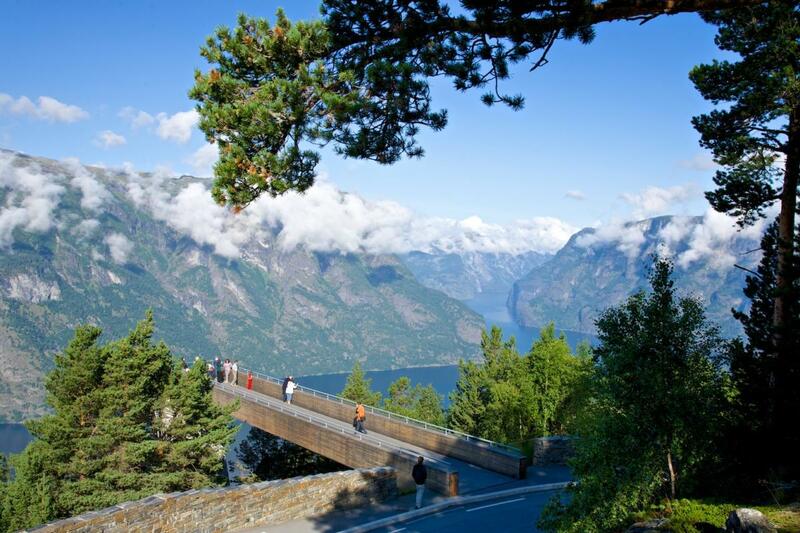 During summer you can drive over the Aurlandsfjellet Mountain Road to Lærdal. This road is one of Norway´s National Tourist Routes. It is closed during winter and open late May or early June, depending on the amount of snow. Just above Aurland at the start of the road, you will find the Stegastein view point. 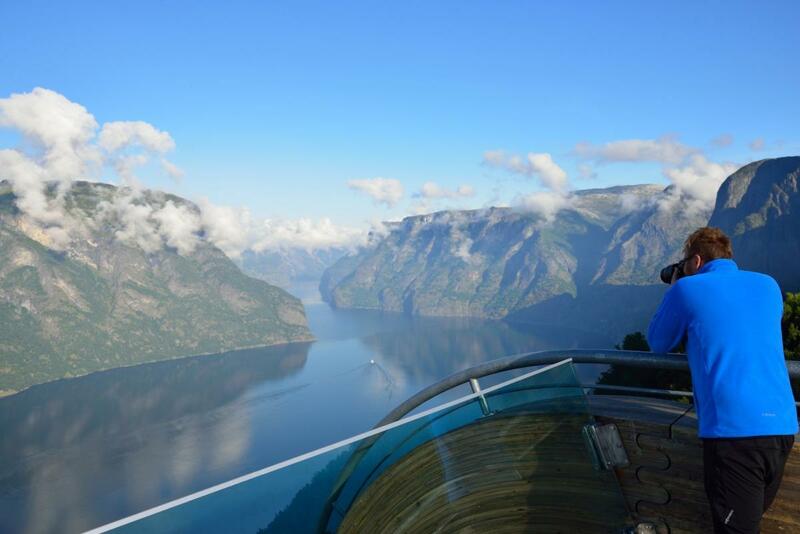 Here you have an amazing view down to Aurland and the Aurlandsfjord. 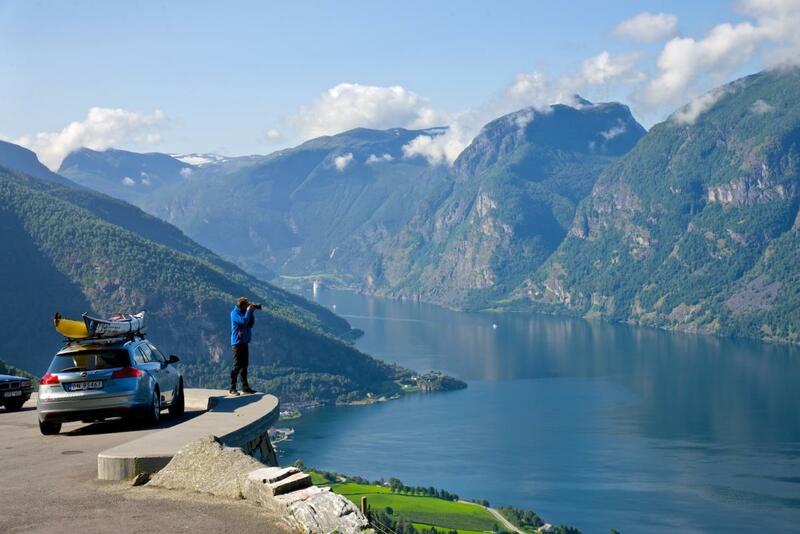 A stop here is a must; remember to bring your camera. In Lærdal, you can visit Norwegian Salmon Centre. 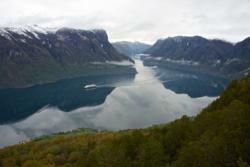 Here you can see the salmon in the river, exhibitions etc. 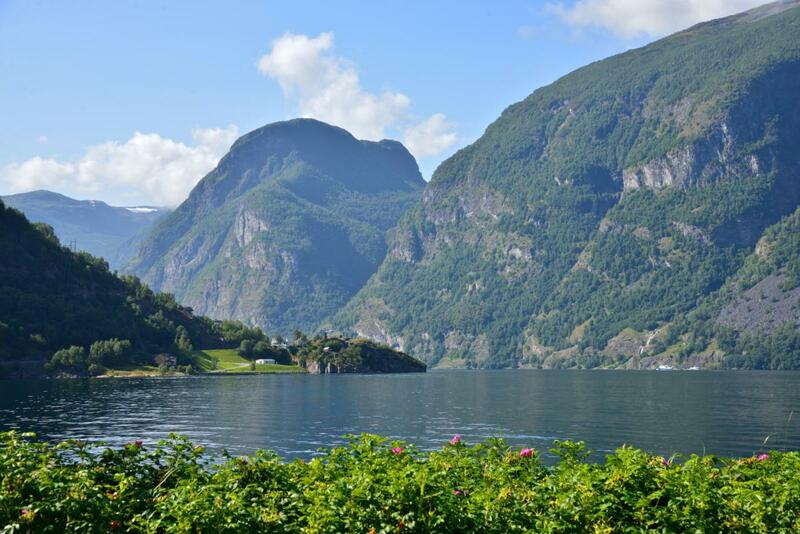 If you want to see Borgund Stave Church, drive 26 kilometres east to Borgund. 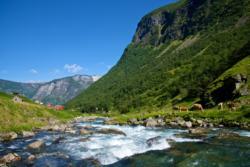 This is one of the most beautiful Stave Churches in Norway. 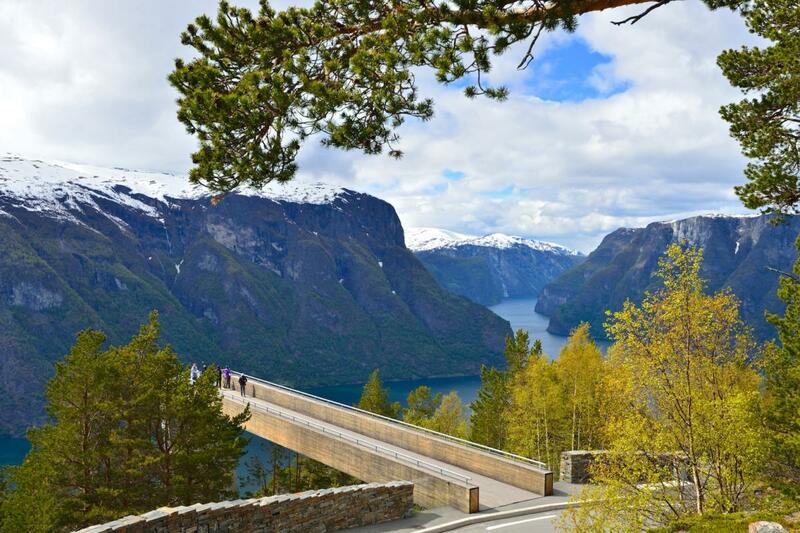 During winter, when the Aurlandsfjellet Mountain Road is closed, you can drive through the 24.5 kilometre long Lærdal Tunnel to Lærdal.